From Gym to Work and Back Again: DSPTCH Gym/Work Bag | OhGizmo! The DSPTCH is the one bag to rule them all. It’s a gym-slash-work bag that meets your need for one or the other, or both! The sleek black duffel has a slot inside to fit a laptop that’s up to 15 inches. It also has room for a tablet and for your other mobile devices, as well as a wet/dry pouch and a hidden security pocket on the bottom for your top-secret work stuff. On the flipside, it also has a special compartment for your gym shoes. You don’t have to worry about smells getting trapped, as the compartment is ventilated. 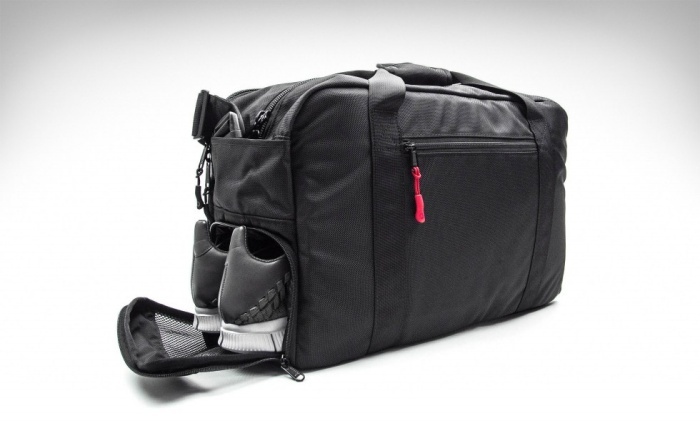 The DSPTCH Gym/Work bag is available for $184.